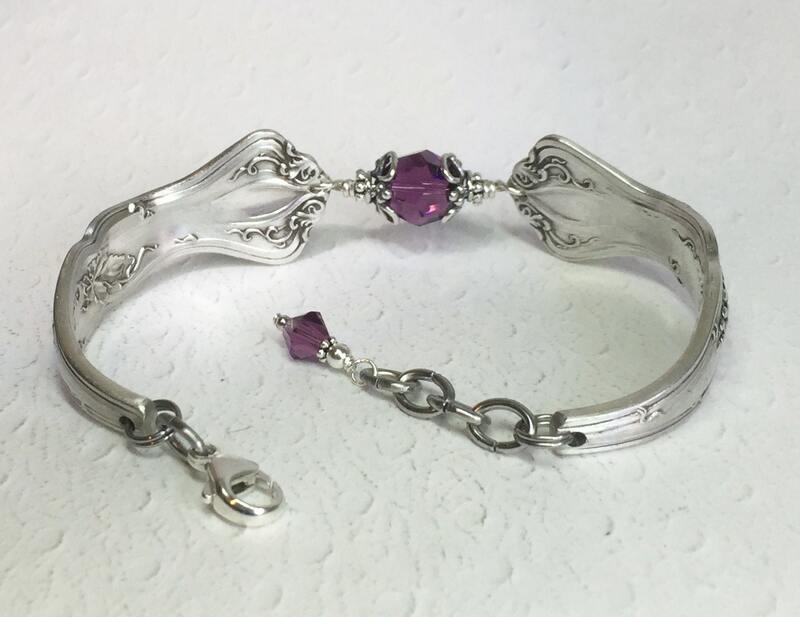 This intricately detailed spoon bracelet was created from two antique teaspoons. The pattern is the highly collectible "Vintage Grapes" pattern from 1904. These spoons were a great find, as due to their age and popularity, it's hard to find them in both nice condition and at a decent price. I found a few good ones. 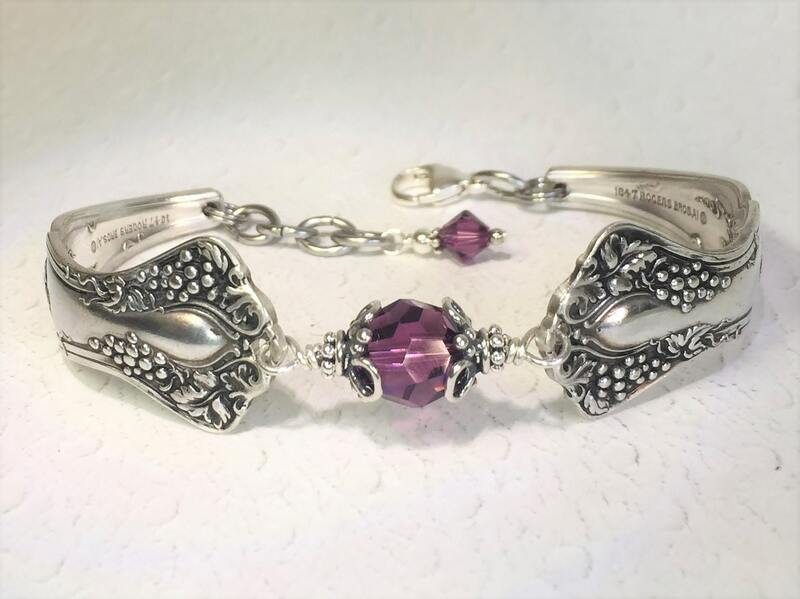 The bracelet is adorned with a sparkling 10mm amethyst Swarovski crystal secured within two Bali sterling silver bead caps, and all is secured within twists of sterling silver wire. I thought the amethyst was a nice choice to coordinate with the grape design. Wouldn't this be a perfect vintage gift for a special wine lover in your life? Or perhaps that special wine enthusiast is you. 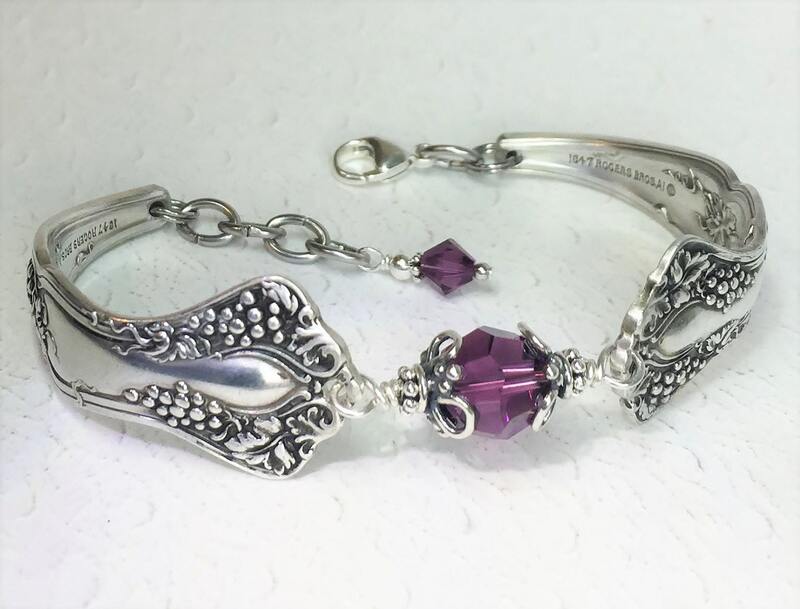 The spoon bracelet is finished with an Italian sterling silver lobster clasp. There are also extra links for a flexible fit, and they're topped off with a smaller amethyst crystal and sterling bead at the end. Do you like this bracelet but wish for a different color crystal or pearl? 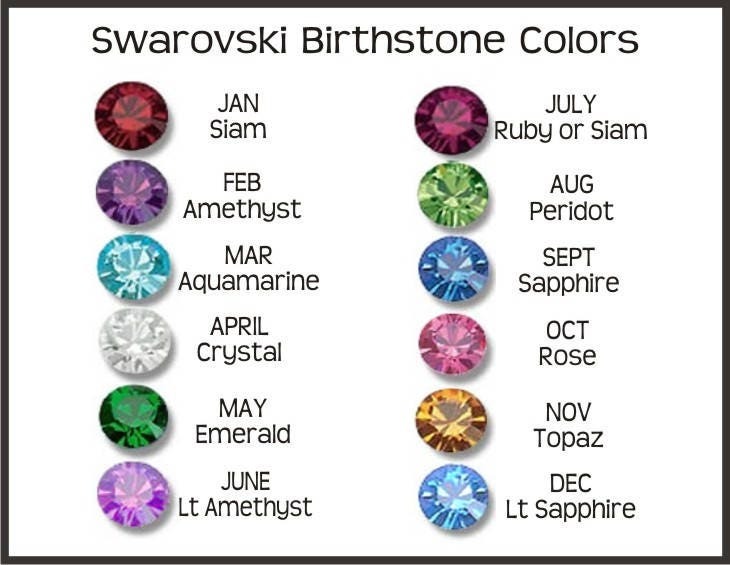 I carry all the Swarovski crystal birthstone colors, pearls & more. 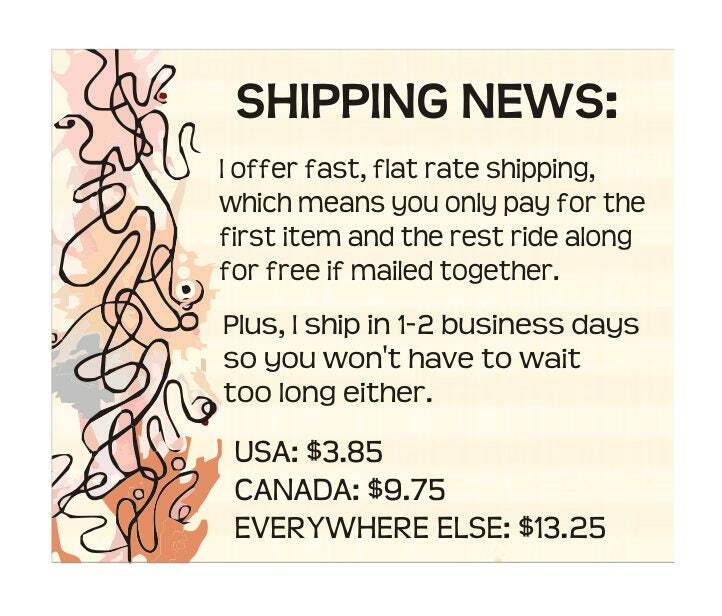 You'll be able to choose at checkout. If you like this bracelet just as it is, the first option is 'NO CHANGE'. 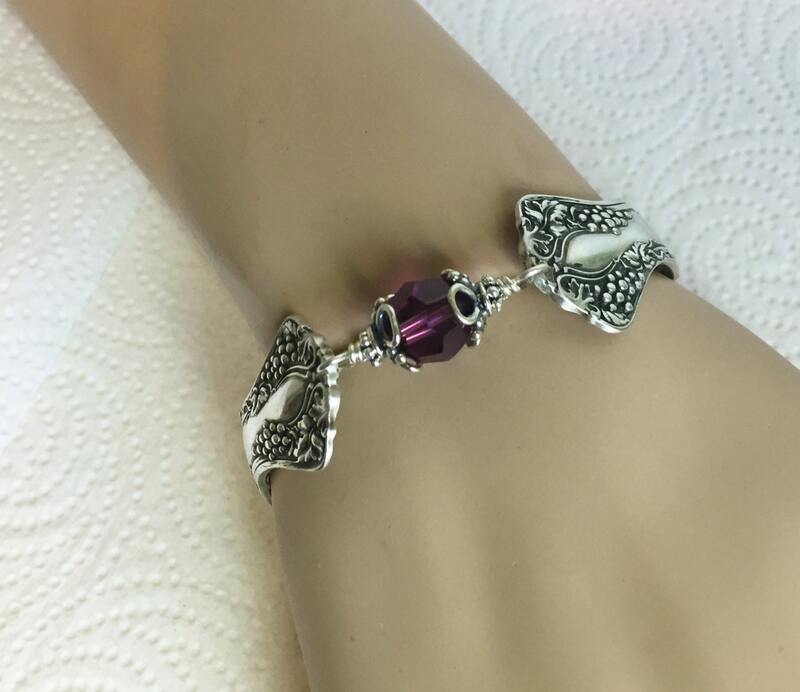 I have always loved grape motifs (and a glass of wine as well), this bracelet is so beautiful I can't wait to wear it! I bought this beautiful bracelet for my BFF. She absolutely loved it! A wine lover and a February/Amethyst birthday gift made to perfection! Marianne of Spoonfest Jewelry made buying this gift a breeze. Service and delivery were VERY prompt. Communication with me was very impressive. Together, we knocked it out of the park! 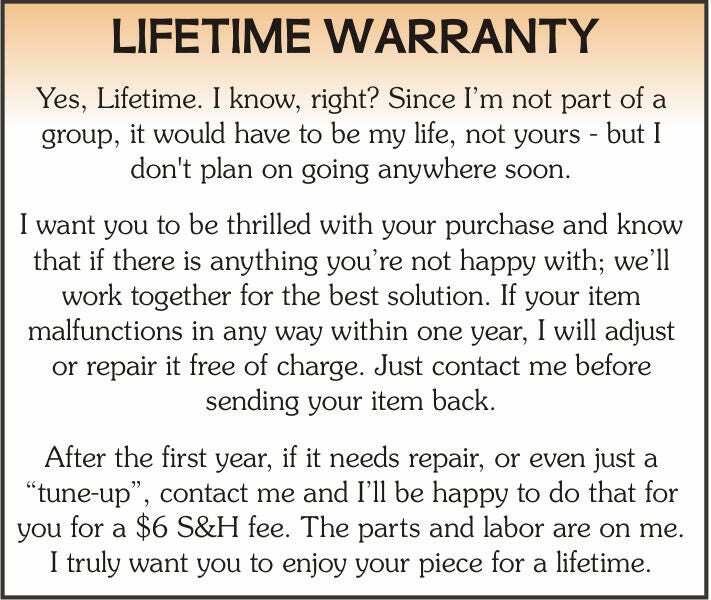 Beautiful quality and fast delivery. Thanks so much, I know my girls will love them! Love it. A beautiful bracelet. I can't wait to give it to my friend for her birthday. I received it in record time. Thank you.